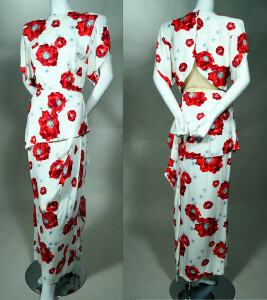 COLOSSAL CHERRY PRINT... RED RIPE AND PLUMP!! 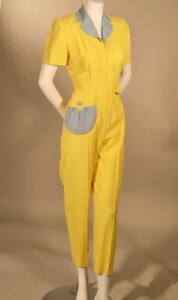 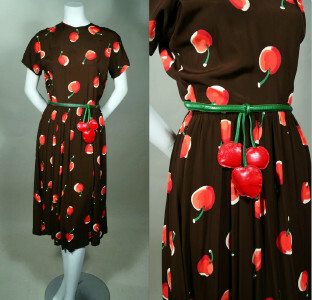 40's VINTAGE CREPE DRESS - LEATHER BELT WITH STUFFED CHERRIES! 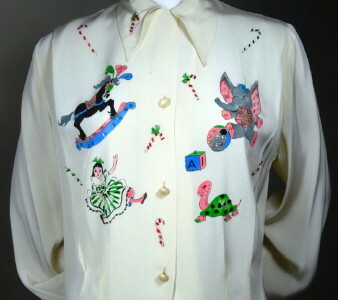 HAND PAINTED AND BEADED CHRISTMAS TOY MOTIF: DOLLS, ROCKING HORSE, STUFFED TOYS, CANDY CANES 1940's VINTAGE BLOUSE - SIGNED ART ORIGINALS OF CALIFORNIA - WEARABLE ART! 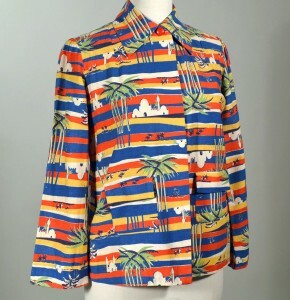 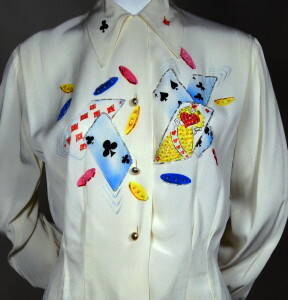 HAND PAINTED AND BEADED GAMBLING MOTIF: PLAYING CARDS AND POKER CHIPS 1940's VINTAGE BLOUSE - SIGNED STEFANIE - WEARABLE ART! 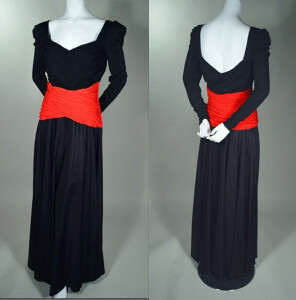 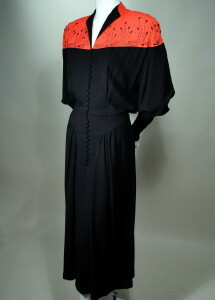 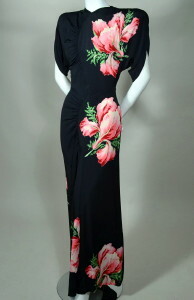 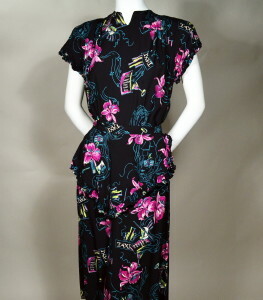 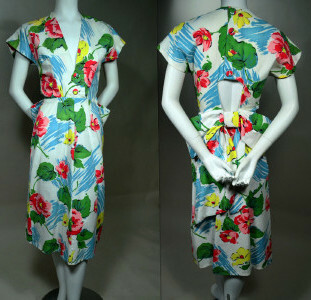 OUTSTANDING BLACK IRIS PRINT 1940's VINTAGE EVENING GOWN! 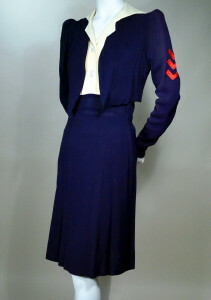 - DOROTHY O'HARA!! 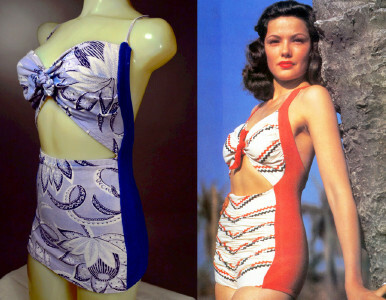 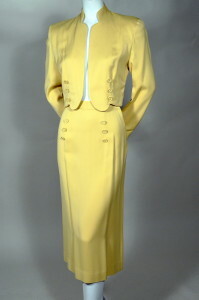 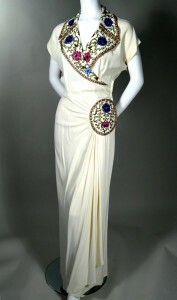 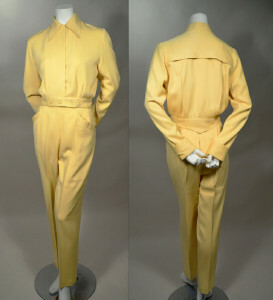 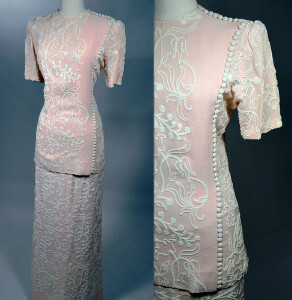 1940s VINTAGE IVORY CREPE WOMENS EVENING GOWN WITH FUSCHIA and BLUE SEQUINED STUDDED AND CORD WORK DETAILING - SARONG SKIRT! 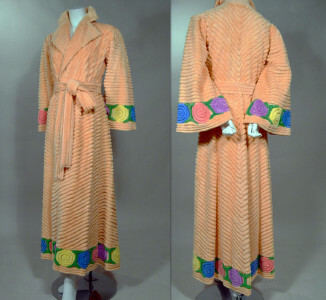 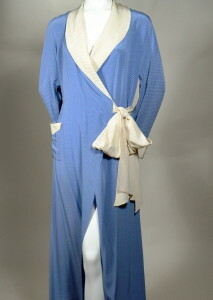 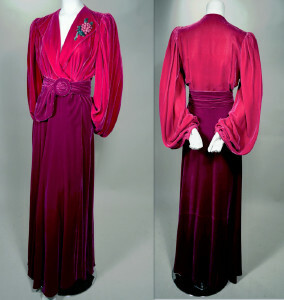 OPULENT 1940's VINTAGE TWO TONE VELVET DRESSING GOWN / ROBE - MAGENTA AND PURPLE! 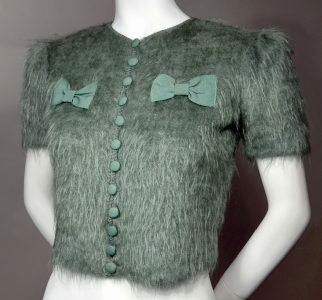 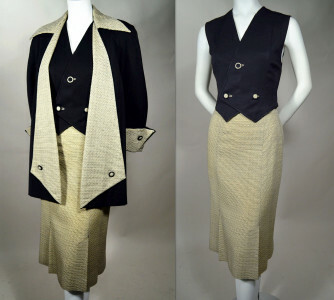 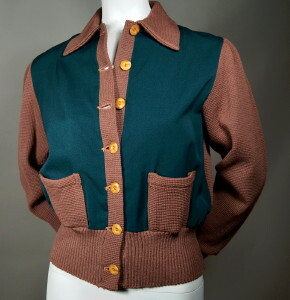 FUZZY MOHAIR 1940's VINTAGE SHORTY CARDIGAN SWEATER - FORTIES' TOOTSIE PIN-UP SWEATER!